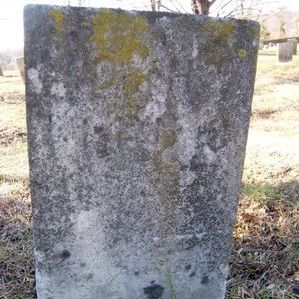 The headstone images below have been submitted or gathered over the years. 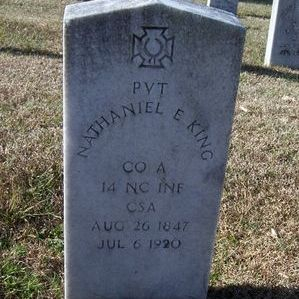 This page contains stones for members of the 14th NC whose last names began with letters from F-L. Use the drop-down menu or click on the menu at left for additional photo galleries located on this site for names falling between the ranges shown. 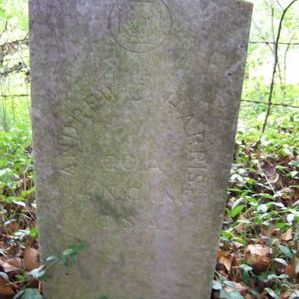 Buried in the mass grave marked by the Confederate monument in Willowdale Cemetery, Goldsboro, NC. The image here is his listing on the memorial wall at the monument. Photos of the Lt. Col. William Henry Chapman Society. (Image 1 of 2) - Front of stone . 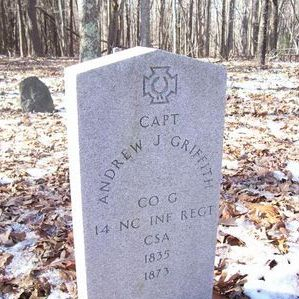 Capt Griffith is buried in the old Peniel Community Cemetery. 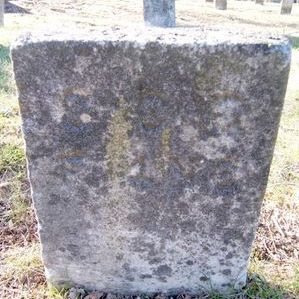 The cemetery is located on the corner of Crowder Home Road (State Road 2567) and Narrow Gauge Road (State Road 2552) in Reidsville, NC. It is located next to the Oak Grove Missionary Baptist Church. 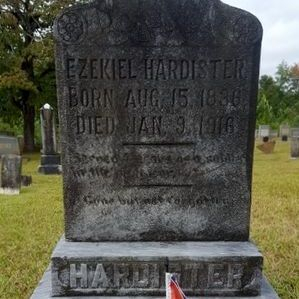 Buried at Eleazer Church in the Uwharrie National Forest, north of Troy, NC. Photo courtesy of M. McCloskey. Photo courtesy of J. Peery. 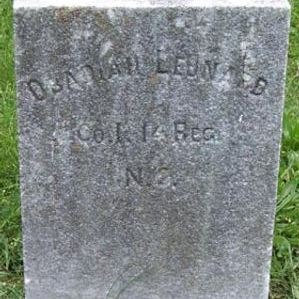 His grave is marked in the Hubbard Family cemetery in Pikeville, NC. 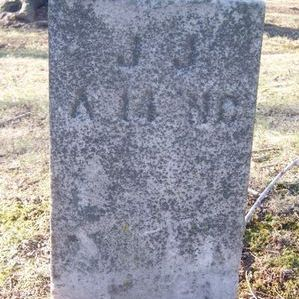 The marker indicates he died in 1909 but he actually died a bit before 1904. 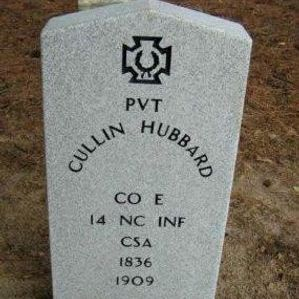 Photo and information courtesy of Sheila Hubbard Janik, whose great-great grandfather is Cullin Hubbard. Spotsylvania Confederate Cemetery, Spotsylvania, VA. 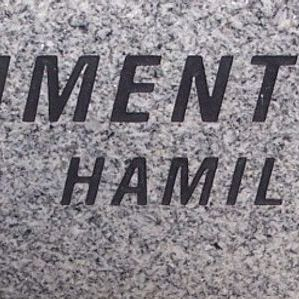 Initial "A" on headstone is incorrect. It should be "O". Photo courtesy of Dan Janzegers. 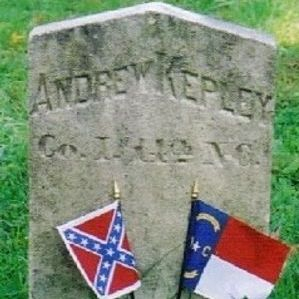 Regimental information on this headstone conflicts with details in NC Troops and other records. 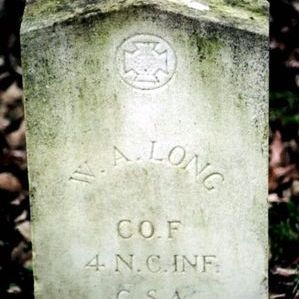 John H. Long originally mustered into Co. M, 15th NC Infantry as a Private. Companies L and M of the 15th Regiment became 2nd Companies K and I, 32nd Infantry Regiment on 4 July 1862. 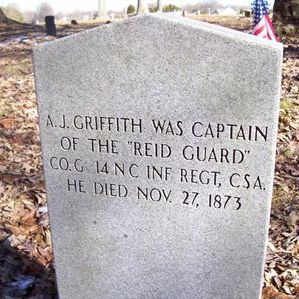 The Roll of Honor indicates he was promoted to Color Corporal for gallant conduct at Gettysburg 7/3/63. 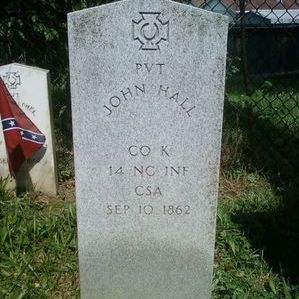 Buried at Spotsylvania Confederate Cemetery, Spotsylvania, VA. Photo courtesy of Dan Janzegers. Spotsylvania Confederate Cemetery, Spotsylvania, VA. 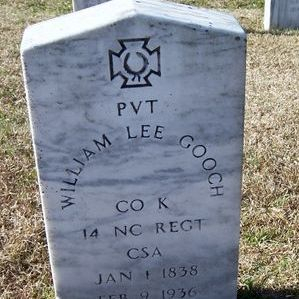 The headstone mistakenly lists him as a member of the 4th NC Regiment. Photo courtesy of Dan Janzegers.